There’s nothing more peaceful than watching the distant twinkling sky illuminated by millions of stars. Unfortunately, city skies in today’s polluted atmosphere are free of stars. But to all of your relief and excitement, a growing number of places- from parks and deserts to islands and resorts are being preserved so that you can lie in the open and watch the heavenly night sky. All you have to do is pack your bags and plan a trip to these world’s best stargazing spots! Ideal for night-time photography, Mauna Kea in Hawaii features thirteen huge telescopes that enable visitors to view the star-lit sky. The Mauna Kea summit is 4200 meters high and open to the public between sunrise and sunset. The low light pollution along with the high altitude helps scientists scan the universe and detect light from far away galaxies. The visitor’s center at the location treats guests with free lectures, Q&As and peering through huge telescopes. Be prepared for the effects of high altitude and you are all set to see some awe-inspiring views. With limited cloud cover and 5000 meters elevation, the Atacama Desert is one of the best sites for space observation in the world. This desert is a sky lover's paradise with numerous observatories documenting the earliest galaxies and stars, and the Magellanic clouds making for a breathtaking view. One of the world’s driest places, Atacama has all the conditions ideal for stargazing. 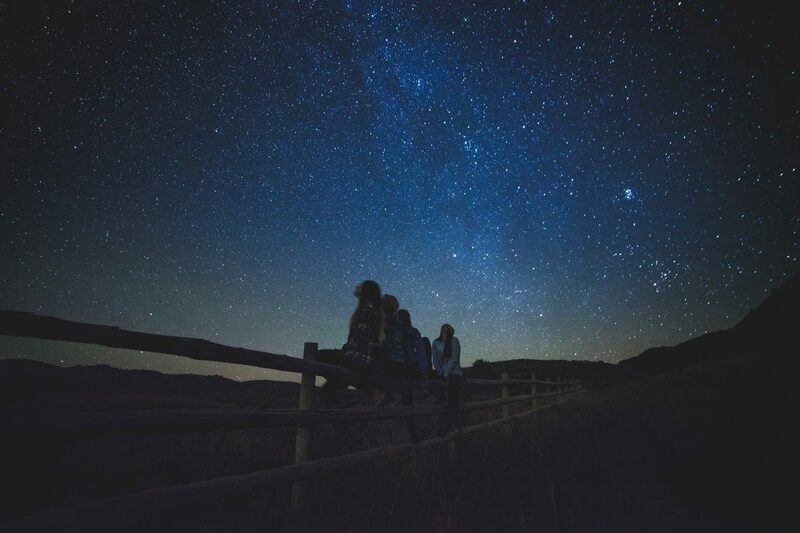 So use a trip planner, make the necessary bookings and get ready to gaze at stars that’ll leave you dreamy-eyed. Established to preserve the natural heritage of Namib desert, Namibrand Nature Reserve is a designated Gold Tier International Dark Sky Reserve. The exceptionally dark skies, sandy plains, rusty dunes and the wilderness of Nubib mountains treat the viewers with magnificent sights of the moon, constellations, and planets. Animals like leopards, zebra, and oryx can be found roaming around the desert making your experience even more fascinating. Low light pollution because of no cars or street lighting makes the stargazing experience at the Isle of Sark unmatched. Accredited as the world’s first “Dark Sky Island”, the Isle of Sark is accompanied by an observatory that lets the visitors know the solar system up-close. Countless stars along with planets and shooting stars can sometimes be seen without a telescope making it ideal to spend a serene night amidst peaceful wilderness. Nestled on a high country plateau in New Zealand, Aoraki Mackenzie awaits you with thousands of scintillating constellations and the star-studded sky. What makes this area especially remarkable is the clear night skies that provide the visitors with distinct views of the Magellanic Clouds. Take a night tour of the Mt. John Observatory and spot the milky way’s satellite galaxies. With strictly controlled light pollution, watching this sky through a telescope is an experience like no other. It’s not every day that you get to spend a peaceful night appreciating the magnificence of the universe. So head over to these places and experience the beauty of the Milky Way against the ink-black sky.